Located near the famous Crested Butte Mountain Ski Resort, our on and near mountain lodging properties offer guests the best location for their ski vacations. Why not stay close to the mountain for ease of 'commuting' and convenience to so many other things to do? Explore these convenient properties today! 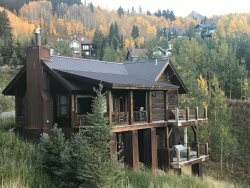 Note, each of our Crested Butte on a near mountain lodging options come equipped with premium amenities and features, as well as come in a variety of sizes and styles. So no matter what kind of rental you are seeking for your visit to Crested Butte, we guarantee to have the perfect rental for you!